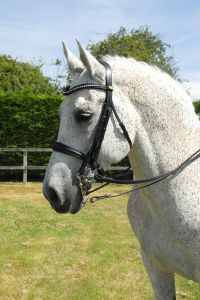 This top quality Italian leather bridle with anatomically designed headpiece, padded and shaped to relieve pressure on ears. 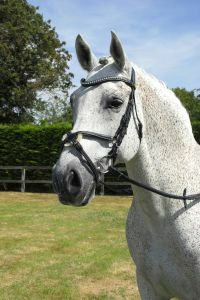 The crank noseband is shaped to relieve pressure with double adjustment for perfect fit. 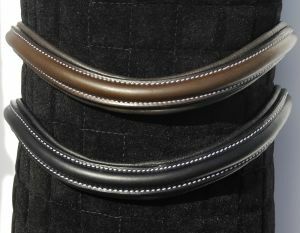 Wave browband sits comfortably with the shape of the brow. All with ‘softee’ leather padding. 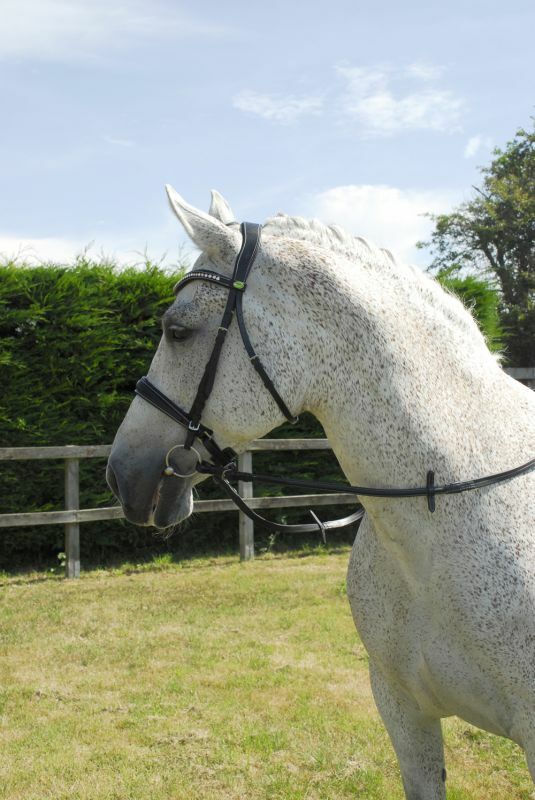 The bridle benefits from double ended throat latch for adjustment on both sides. 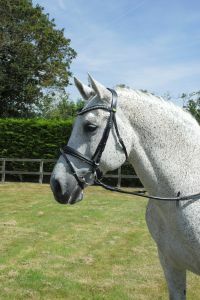 Includes smooth feel rubber reins with stitch detail.